Micheal F. from Connecticut discovered something I learned from no other source. This surprised me because others said the pins were dedicated to each MAS model. "They” got it wrong. Mike just happened to have a French 49/56, a French 49 and a Syrian 49. He looked at the bolt and pin in each and said “wait a minute they’re all the same.” I sent him a pin and he tried it in all three guns... and hurray, hurray it worked. I’m giving Mike the Magellan Award for a terrific discovery. 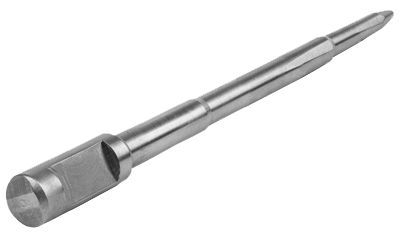 What you are eyeballing is an exact replica of the heavy steel OEM firing pin to within + or - .0005" with one minor exception--the head of the pin is flatter than most pins. This one is made from Ti-6AL-4V, Grade 5 titanium. Titanium firing pins have proven to be the most direct cure for embarrassing and potentially dangerous slam, burst and/or auto fire in MAS 49/56 rifles using commercial ammo with soft primers. My TFP weighs a mere .415 ounces (.026 lbs or 11.793 grams). That is a 42% weight savings over the OEM MAS 49/56 firing pin which is a weighty little devil and tops the scale at .045 pounds (.719 oz. or 20.411 grams). What my petite firing pin does is reduce the mass of forward inertia of the firing pin and thereby inadvertent repetitive fire. Owners of the previously made TFP by McCann reported excellent results. And better yet, you can use this pin on commercial or military surplus. A pin in a tube. Your TFP firing pin comes in a camo tube. It protects your TFP in your range bag. Various unwanted occurrences can result: Slam fires (a round is hurled down the barrel when the bolt is released), burst fire (a couple of rounds fire off to the great surprise of the shooter or full auto-the weapon just rocks and rolls on until the mag is empty. Commercial ammo on left with soft primer. Mil spec ammo on right with tougher primer. Now these negative happenings can be embarrassing. Perhaps your gunsmith will call you and tell you to "Come pick up this piece of s--t" as happened to me. When I arrived and asked what the problem was, he said "Move that poster aside." Curiously I did and there was a large hole in his brick basement wall. The poster covered his embarrassment of a slam fire. Happily the round didn't pass through his wall and blast some little kid in the head! Perhaps you are at the range and your MAS goes temporarily out of control. Eyebrows will rise along the line and the range master will compound your red face with cautioning words spoken loudly. Or maybe the barrel is pointed down and you shoot your buddy's foot off. I doubt that you'll kill anyone because you will have practiced the second rule of gun handling. All of these events and other sad tales should be avoided and they can be. Other remedies for this un-expected detonation problem can be found on a web tour. One cure is to machine the MAS bolt to accept a small firing pin return spring. That apparently is a good solution but the machining would probably cost you more than my TFP. Load your mag with one round of commercial ammo. Point the weapon in a safe direction. Release the bolt. Don't fire it. Jack the round out and look for any small indentation on your primer. If you spot a mark of any kind, you may be a candidate for the TFP remedy. The MAS-49/56 (Manufacture d'Armes St. Etienne) was introduced in 1957. Its design improvements over previous French combat rifles came from combat experience in Algeria and against the Viet Minh in Vietnam. 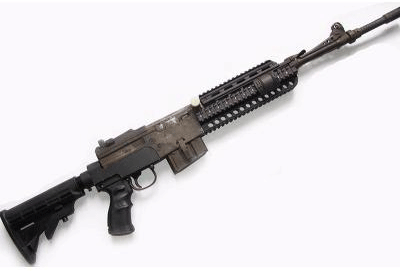 The rifle became shorter and lighter to improve mobility for armor, airborne and jungle troops. The MAS-49/56 ended production in 1978. The MAS 49/56 was withdrawn from service in 1990. 275,240 MAS 49/56 rifles were produced between 1957 and 1978. The MAS 49/56 firing 7.5 x 54mm ammo was an accurate battle rifle for its time. Recoil is very light for a full-power rifle which allows the sight to stay on target. Its overall handling is excellent. 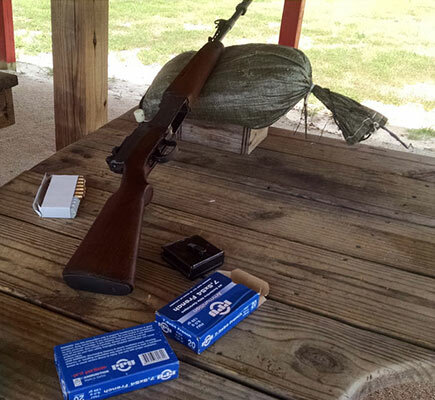 The 49/56 is well balanced and swings faster than WWII-era rifles including the M1 Garand. The MAS 49/56 weighs about 8.5 lbs. The Garand is heavier at 10 lbs. The MAS is also four inches shorter than M1 and most of its weight is centerd in the action. Internal parts are heavy duty, forged and machined--not stamped. The build quality and detail are superior to most but not all WWII rifles. Using the iron sights and high-quality surplus French military ball, the MAS will average, 1.75 to 2.5 MOA five-shot groups at 100 yards. 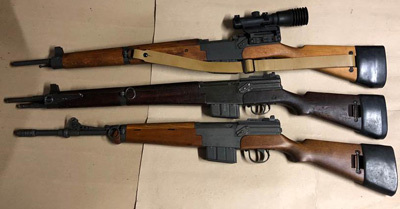 The MAS is as accurate as any other semi-auto military rifle during and post WWII-this includes a comparison with FN FAL, HK G3/CETME, or stock M1 Garand. It is more accurate than FN 49, SVT-40, AK-47 or SKS. The MAS detachable magazine could be topped off or reloaded during combat. Garand shooters had to wait until the ammo clip was expended with a loud audible 'clang' which was dangerous in fighting lulls. The MAS 49/56 has fewer parts and field strips faster than the M1. 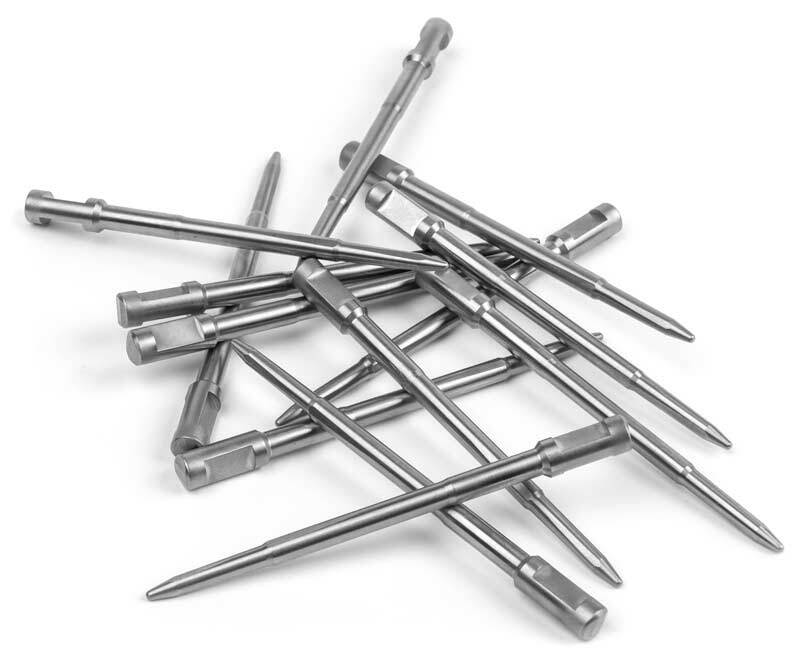 The MAS disassembles into just seven largish pieces; the beefy firing pin is the smallest one. The MAS 49/56 is considered by knowledgeable, unbiased folk to be the pinnacle of semi-automatic main battle rifles of the WWll period. 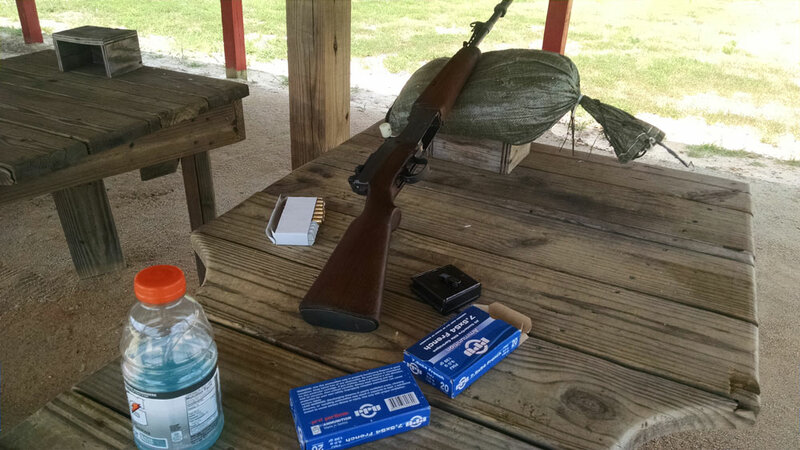 Today a decent M-1 Garand sells for $1000 give or take. The MAS 49/56 is a bargain for a lightweight, compact, hard-hitting rifle--they sell for about $500. The MAS should be an important and inexpensive addition to your arsenal. Some gun people consider the 49/56 rather ugly and I agree. But in its ugliness is beauty if you consider its practical design or just like unusual. In the 1990s large quantities of surplus MAS 49/56s were imported. Many were re-arsenaled and are in excellent condition. The F serial number prefix was made between 1956 and 1958. G series were made between 1958 and 1960. The H series was made between 1961 and 1963. To the right of the serial number may be ‘P’ stamp followed by a square with two numbers in it. That stamp indicates re-arsenaling. Most re-arsenal dates were in the 1980s and early 1990s. Many imported MAS 49/56s were unsuccessful conversions to 7.62/.308 WIN by Century Arms. That gave the rifle an undeserved reputation for unreliability. Avoid 7.62 conversions-many were done poorly and affected cycling and accuracy (the bullet had a tendency to skip down the barrel). While Bill Toth was testing my Titanium Firing Pin he fired Privi, French surplus, Egyptian/Arabian surplus and FNM Portuguese ammo. Each ammo type worked as it should with the exception of FNM. 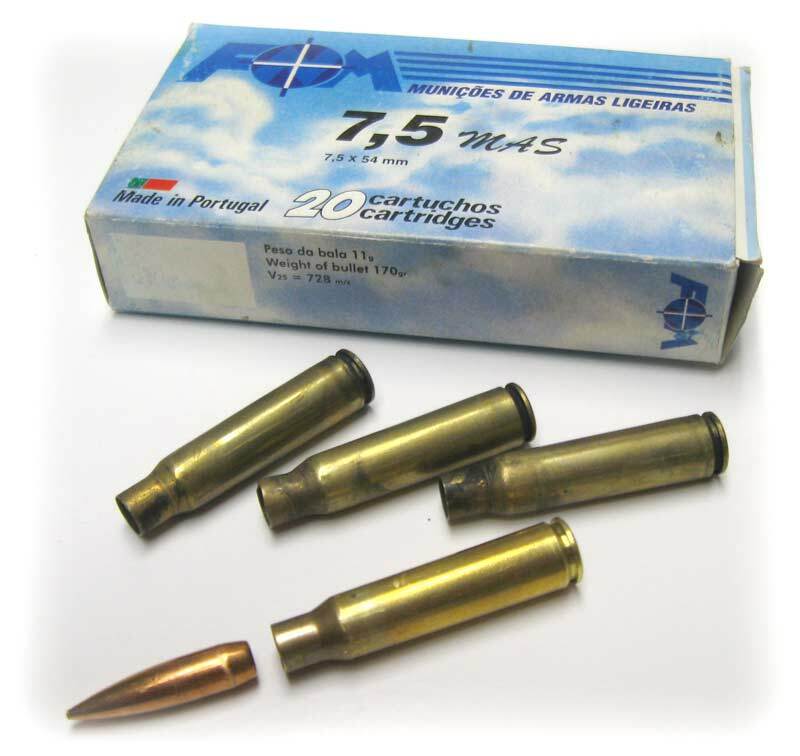 This photo shows that very FNM Portuguese ammo. The bottom bullet and detached shell casing was cycled through his test gun but not fired. When Bill extracted the round he discovered it separated just like you see it here. When the bolt ran the round into the chamber the bullet detached from the shell. Whew, can you say inadequate crimping! The three dirty FNM shells above were fired. Notice the extensive fouling all over the cases and massive build up in the exactor ring. These rounds separated in the chamber too and the loose powder in the bore created this fouling. 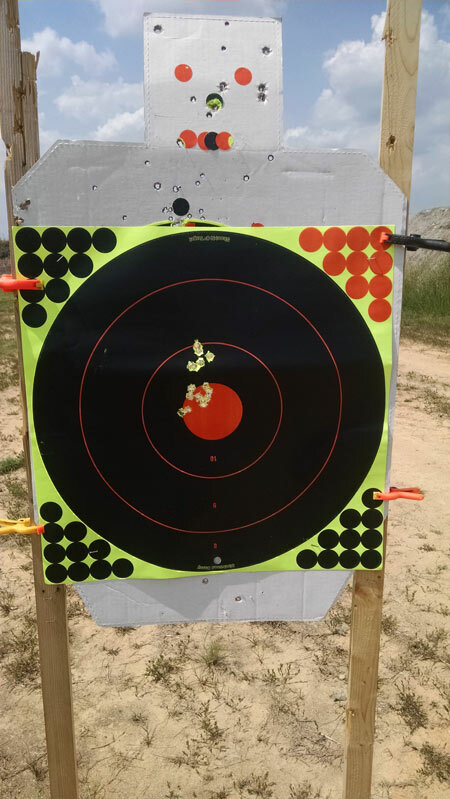 We're sure you see the potential danger using FNM ammo. 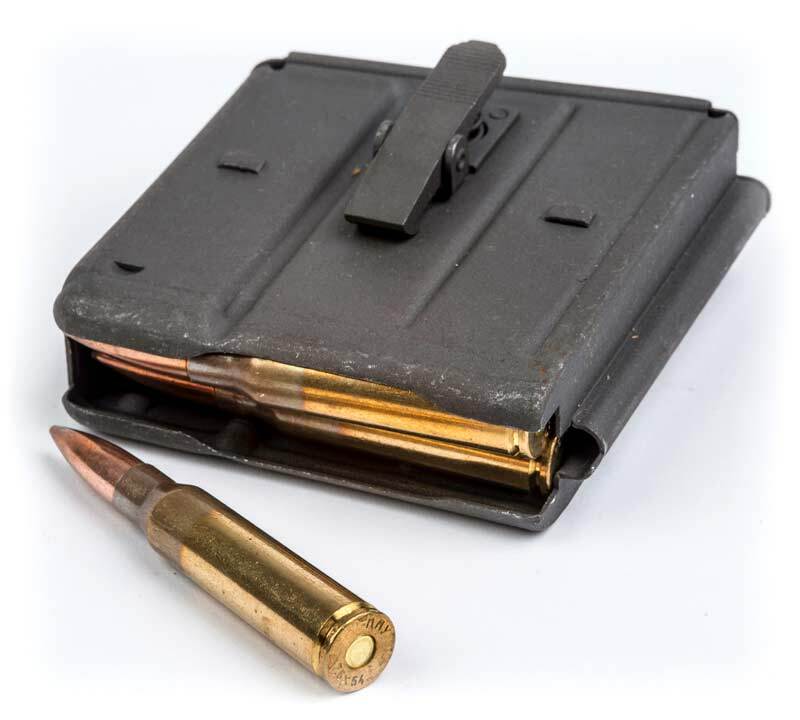 If an ammo box like the one in the photo is offered to you say "no thank you" in a nice way and move on to other options. Enough said? Yup! We have been through gun/ammo panics before. The national gun ban panics of 1986 and 1994. The 2000 and 2004 California gun ban panics. In the last panic it took 36 months for prices came down in late 2011 but in March 2012 it climbed sharply again because it looked like Obama was going win a second term. Obama won, Newton happened, legislation was proposed and news of DHS ammo purchases set off this historic panic and shortages. Ammunition manufacturers have been running at capacity for at least 10 years 24/7. Most ammo makers had barely recovered from the last ammo-buying panic and then they were hit with this situation. Production expansion is a slow process which requires a lot of time and money and most manufacturers have been doing just that. In a business as political as the gun and ammo industry, sales spike (up and down) so manufacturers will not unwisely spend wildly to increase capacity. Now that anti-gun legislation failed, the process of normalcy can begin but it's going to take a couple of years to return, unless the government makes another crazy move or some other nut job shoots more people. There are tiny rays of hope. Ammo buyers who do their research and are timely have been able to buy. Hang in there. Prvi Partizan 7.5 x 54mm French. About 20 bucks a box in any quantity. New secret source from a bunch of good guys. Info from customer Jim Allen. Let me first start by congratulating you on your titanium firing pin. It is a fine piece of machine work and accurate to OEM dimensions. The (pin in titanium) is founded in solid mechanical/physical principals and in the current specifications will eliminate the "slam fire". The solution to the slam fire problem is to hold the firing pin protrusion to .035 total (and to hold to other OE specs-editor). 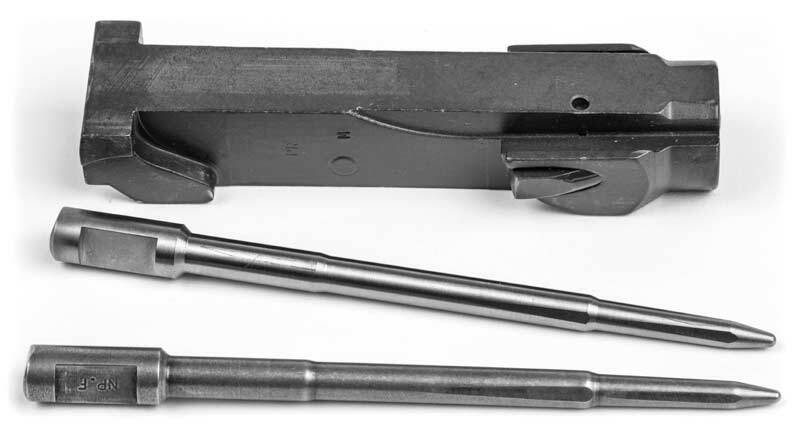 The Titanium firing pin may fire military issue but don’t chance it--just slip the OE pin back in and save the TFP for commercial ammunition. The following procedure was used in the evaluation and testing your titanium firing pin (with an interesting observation noted). Step #4. Fired first round (French surplus), no slam fire, rifle recycled and chambered the next FNM round. Step #5. Opened the action to check primer for indentation from titanium firing pin on unfired cartridge. Upon extracting the unfired FNM cartridge case. I observed that the projectile had become completely detached from the case (due to the inertia of chambering) with the propellant spilled throughout the chamber and magazine. My observation confirms the FNM bullet did detach from the case. Upon inspecting FNM brass which was previously used to test fire other rifles, I observed powder fouling on all 15 FNM cases, with no fouling of 20 Privi Partizan, 35 French surplus or 30 Egyptian/Arabian surplus. I consulted Bill to judge the quality and function of my firing pin. I was not after him for an endorsement. He surprised me by writing the above. Bill, I think, is the country's leading expert on MAS rifles. He has fixed many, many of them and knows their idiosyncrasies. If you are having any problem what-so-ever with a standard MAS or one that has been butchered, call Bill. He is a very nice guy and will find a solution for you. You can't automatically buy the pin online because I want to talk with each buyer. I make new friends and I learn a lot from you. It also gives immediate feedback if a customer is having a problem. 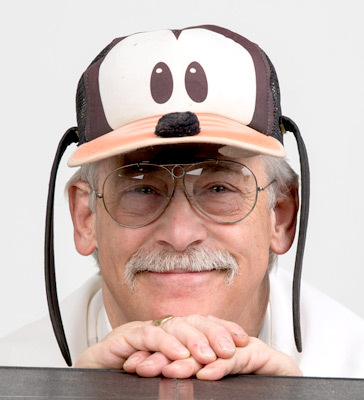 Yep that's Phil in the Goofy hat--life needn't be all too serious. Your purchase of this product is an acceptance of the dangers associated with weapons, ammunition and what the combination can do when improper care and improper use of the weapon occur. You are expected to know all aspects of gun safety or find another hobby. I am asking you not to use the TFP on milspec ammo. Primers are robust in combat ammo and I fear that titanium, being a more brittle material, may not last up against harder primers over the long haul. So switch firing pins for intended ammo. Luckily, the pin switch is quick and easy. If the FTP fails in anyway just send yours back and I will reimburse you for its cost. Make no mistake if you do something really stupid (like shoot someone or damage property with your rifle) it is not the firing pin's fault! A suit against this product will be disappointing because the company has few attractive assets. Dealer pricing for 4 or more units is available. Keep the firing pin channel free of cosmoline, grease or oily residue. Excess lubricants can interfere with a free-floating firing pin. 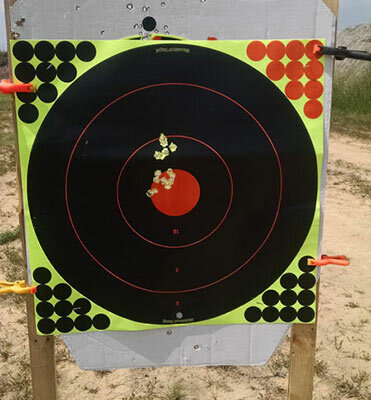 I finally got to the range today to test fire my MAS with the new TFP. The TFP has completely transformed my MAS!!! The performance difference is beyond my expectations! With the old steel pin my MAS would randomly slam fire the rifle to point of it being a range menace. 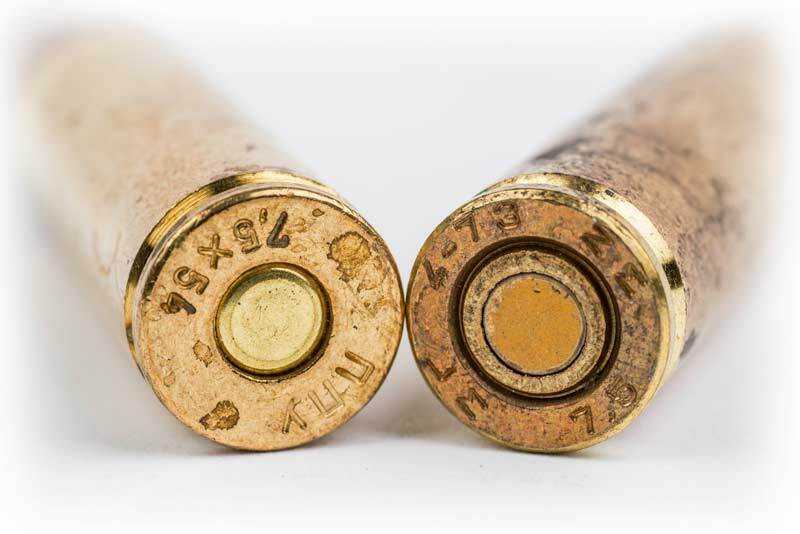 Now, it shoots smooth and clean – not a single slam fire after several boxes of PMC Bronze .308. I'm totally thrilled with how your product breathed new life into my rifle. THANK YOU!! My firing pin solved my slam fire problem. The titanium pin totally solved the problem I had with my MAS 49/56. Before the replacement pin I would get 2 and 3 round bursts approximately every 30 rounds. The MAS 49/56 titanium pin solved my [slam-fire] trouble very, very well. 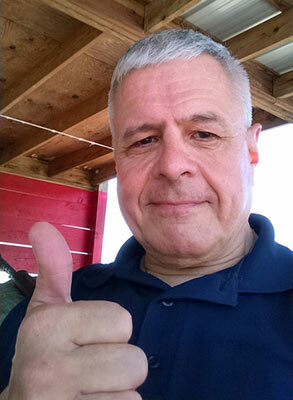 Denis, from Fayetteville, NC, is a long time military guy who defended our nation with all its worthy and unworthy citizens. Denis is retired now doing the things he likes--shooting guns. Like me he’s into unusual guns like the MAS 49/56. He discovered what we all have--slam fires with civilian ammo. 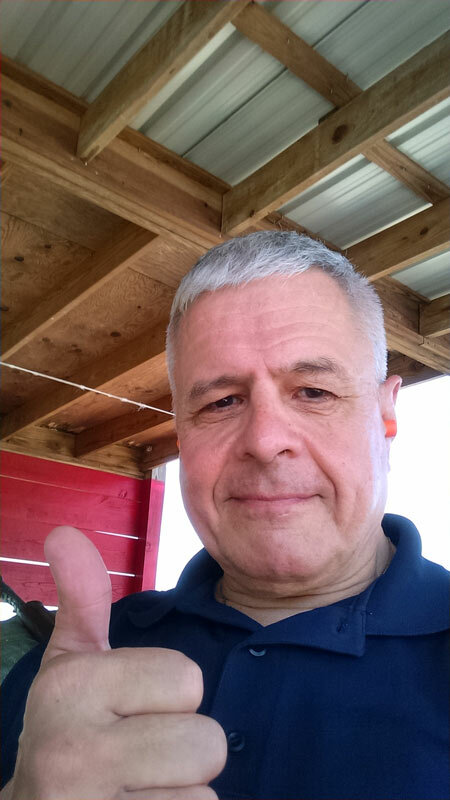 He now uses the TFP and by his approving thumb we know he is happy with the results. We also know the man can shoot by his target patterns. Denis uses ‘Praetorian Guard’ in his e-mail address which tells us how he viewed his profession. Thanks, Denis. Mark from Seward, Alaska owns an MAS like this one. I didn’t know trick stuff was available for the 49/56. Mark did an in-depth search online and discovered modern furniture that was made in France. He found the furniture for sale on eBay and scarfed one up. The seller was in France. Mark says, “It's obvious that a number were being manufactured a few years back”. The stock setup ran him about $750. Mark had to carefully remove a bit of aluminum where the stock fits the rear of the action to make a proper fit. The pistol grip and forend went right in. The kit essentially makes it look similar to a CAR15. The forend grip was made in China (eBay), and swivels slightly to fit the rail. Push a button and the grips split in half to form bipod legs. Push another button on each and the legs pop out further. He has an aftermarket scope mount that goes in like the original, but has a picatinny rail. Mark got my pin on 2/13/17 but there so much snow up there that he will have to delay a test firing. Thanks, Mark.